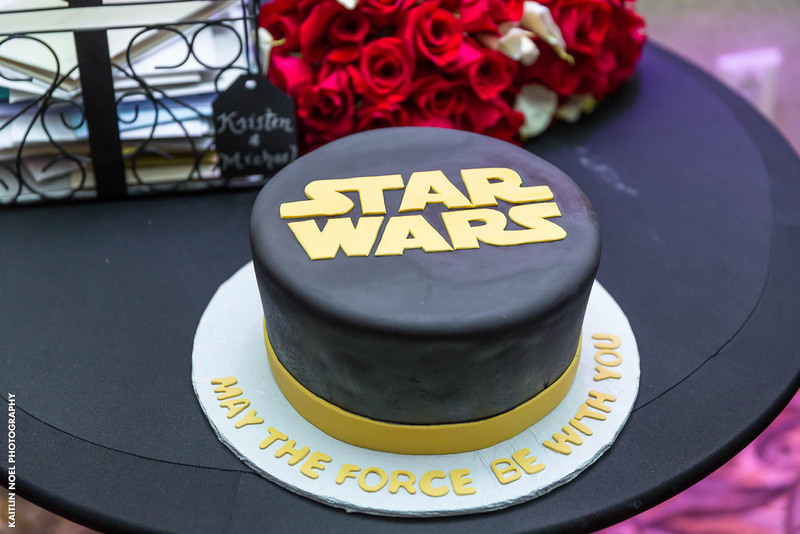 You’ve been the boss of the show on every detail of your wedding, but when it comes to selecting a groom’s cake, your husband-to-be is in charge. 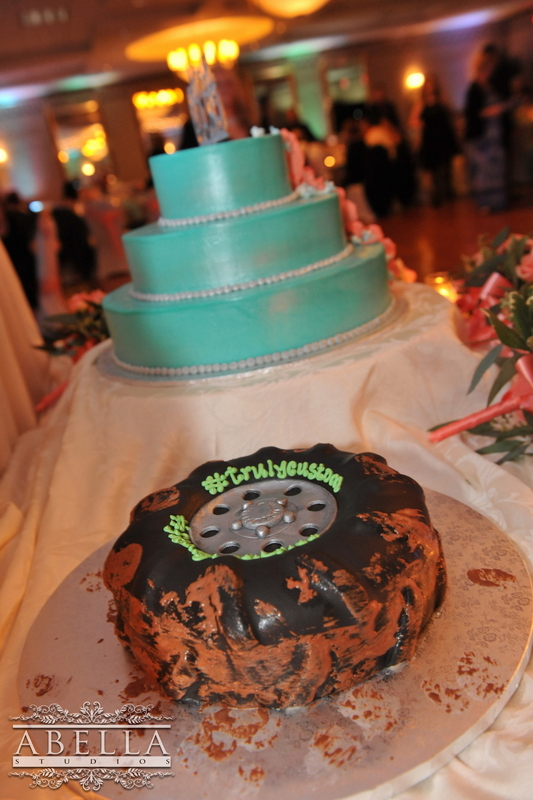 The cake you’ve chosen for the reception is elegant, fancy, and other the top which is why he gets a cake of his own. So, let him have fun choosing designs, flavors, and colors that suit his personality. 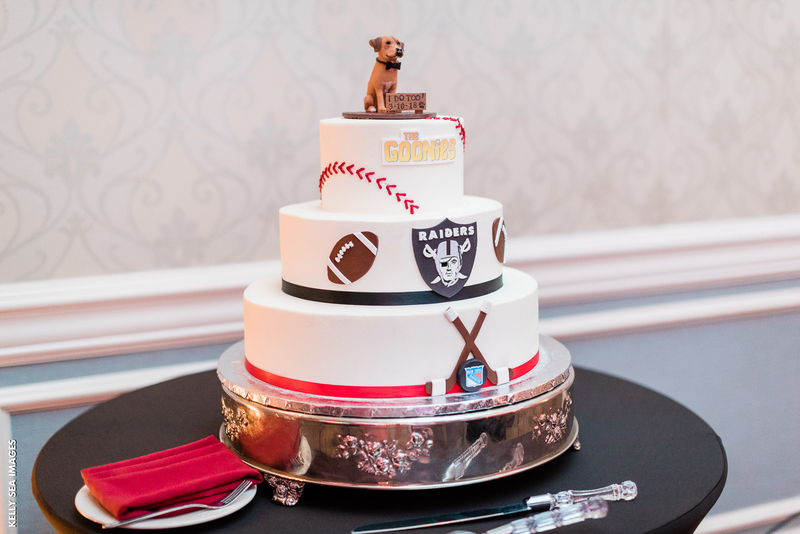 If he’s anything like the grooms in these photos, his cake will be unlike any you would’ve chosen yourself. Is your guy a child at heart? 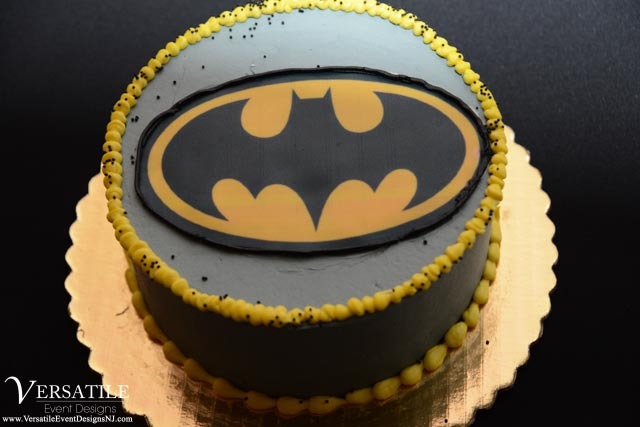 If so, he may pick a groom’s cake that reflects his inner child. The above grooms decided to choose their favorite superheroes and movie series. 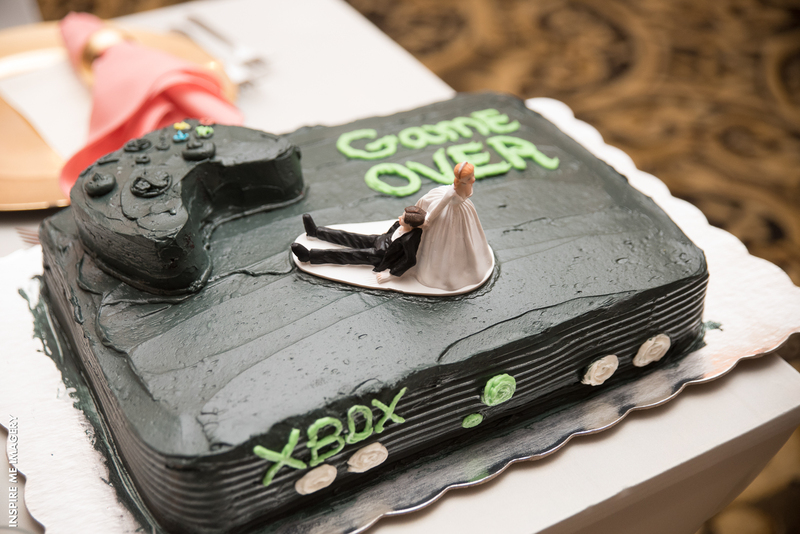 If your husband-to-be is a serviceman and proud of it, he may want to choose a groom’s cake design that shows it off. 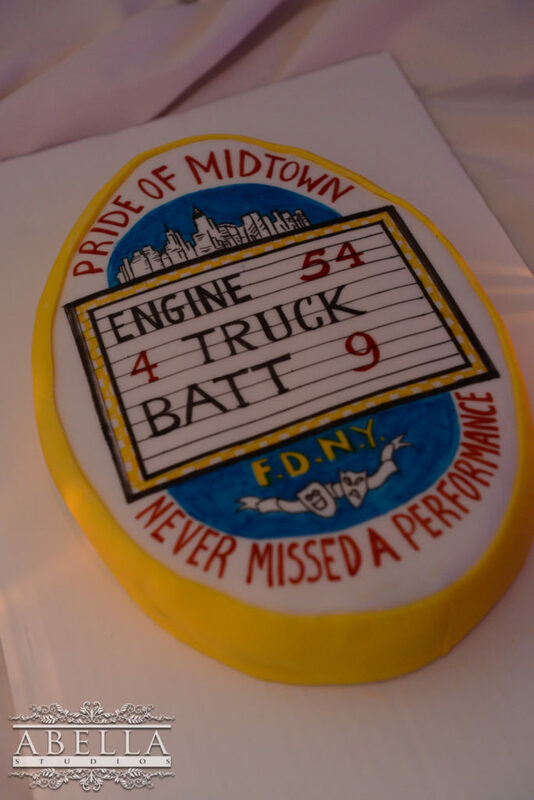 This New York Fire Department cake this couple had designed says it all. The same can be done with a policeman or someone in the armed forces. Is your fiance into games? 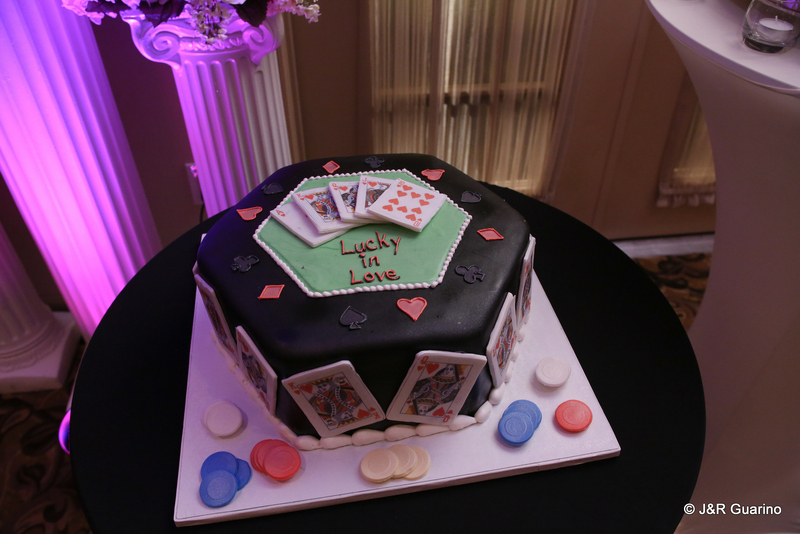 Whether he enjoys a weekly game of poker with the fellas or prefers to rock out to Call of Duty on his Xbox with online friends, you can have a cake designed that he’ll for sure be pleased with. Any sports fanatics out there? 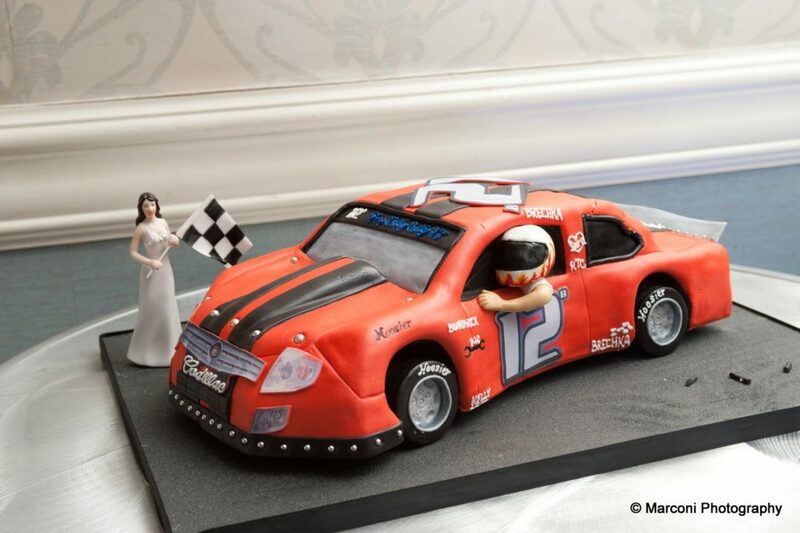 It doesn’t matter whether you love Nascar racing, monster truck competitions, baseball, or hockey, a groom’s cake can be made to just about any shape and design he wants. If you’ve been holding the reins on the wedding planning, it’s time to let the groom get in on the creativity. Giving him his own cake is one way of letting his personality shine through. Work with your baker to come up with a design that encompasses everything about the guy you’re about to spend the rest of your life with.